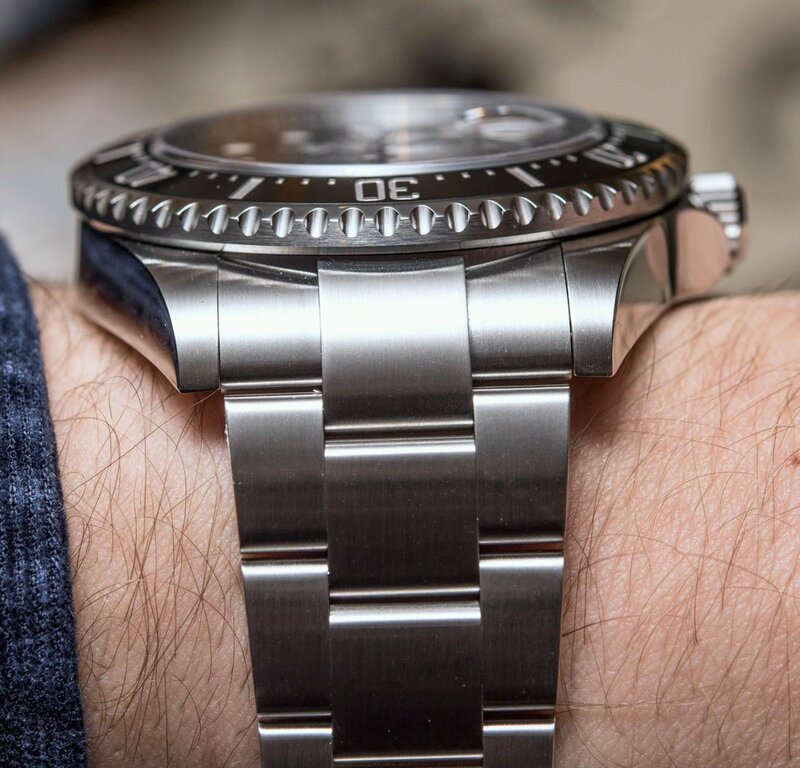 After our detailed look at each of the five different discontinued Sea-Dweller watches, we have finally arrived at the newest model—the Sea-Dweller ref. 126600. Announced just a few months ago, the SD ref. 126600 made huge waves at Baselworld 2017 for the big changes it brought to the collection. Let’s review those modifications in detail. What’s new on the Sea-Dweller ref. 126600? 2017 is the year that the Sea-Dweller celebrates its 50th anniversary. 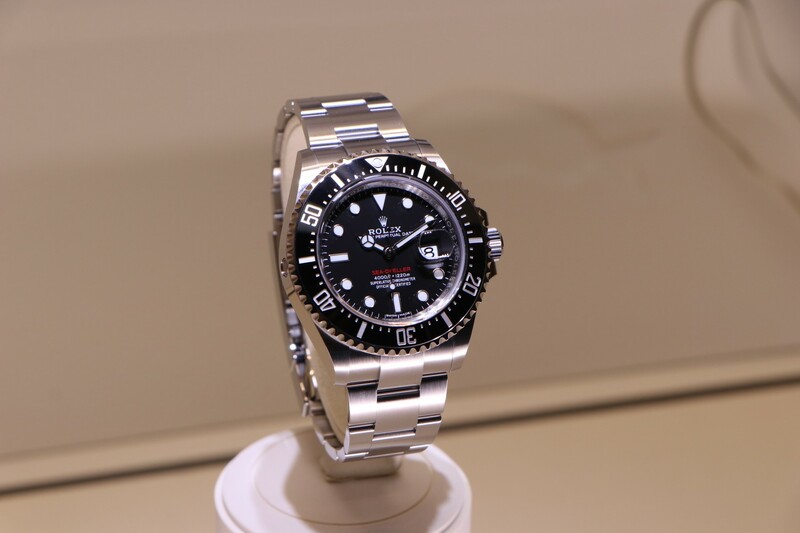 So it came as no surprise that Rolex unveiled an anniversary Sea-Dweller model. What did come as a surprise, however, were some of its new features. Compared to the older versions of the Sea-Dweller, the new ref. 126600 presents many new features—some welcomed and some not so much. The first and most obvious difference is its size. Growing from its original 40mm size to a much bigger 43mm, the Sea-Dweller is now one of the larger models. While some may protest the bigger case size, it does balance out the thickness of the Sea-Dweller to an arguably more proportional fit. Also, because of the larger size, the Oyster bracelet is subsequently wider to maintain those balanced proportions. With this modification, Rolex now offers three different sizes among their diver’s watches: Submariner at 40mm, Sea-Dweller at 43mm, and Deepsea at 44mm. In addition to the size, the new Sea-Dweller ref. 126600 now includes the Cyclops lens on the sapphire crystal above the dial. 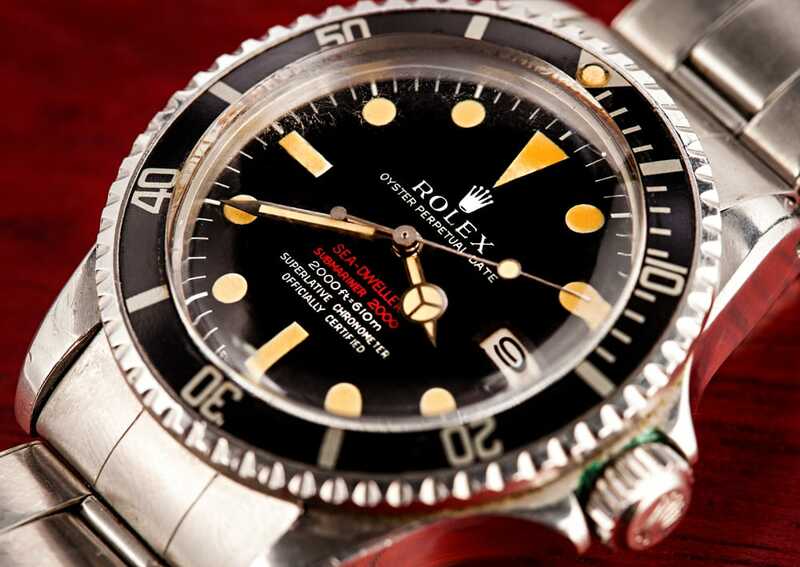 While it can be assumed that this was done to increase legibility of the date, there have been some very loud protests from Rolex fandom in regards to the Cyclops. The Sea-Dweller and the Deepsea have always been the only Rolex Oyster Perpetual Date models without the Cyclops lens. All other Rolex date watches have it—the Datejust, the Day-Date, the Submariner, the Sky-Dweller, etc. 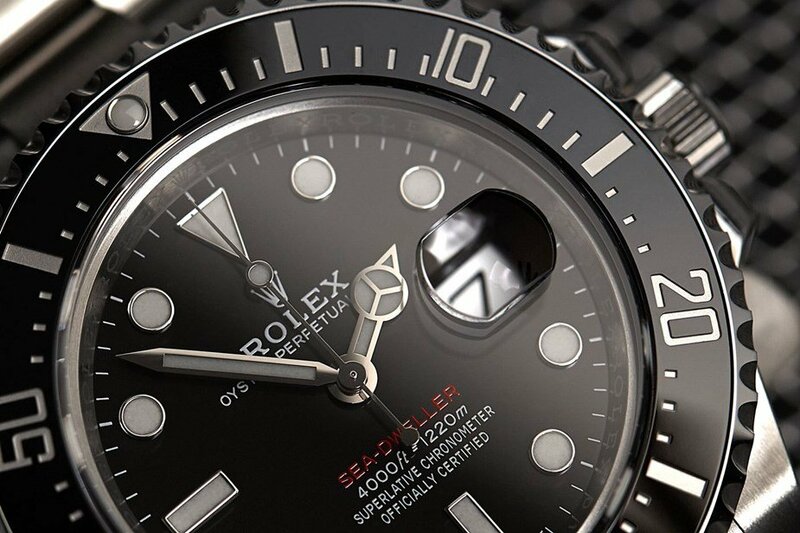 In fact, the lack of Cyclops was, for many Rolex enthusiasts, one of the selling points of the Sea-Dweller. Without it, the face of the Sea-Dweller is more streamlined and symmetrical. On the other hand, a great addition to the 2017 Sea-Dweller ref. 126600 is the red text on the dial. As we discussed in the first chapter of the Sea-Dweller series, the first SD ref. 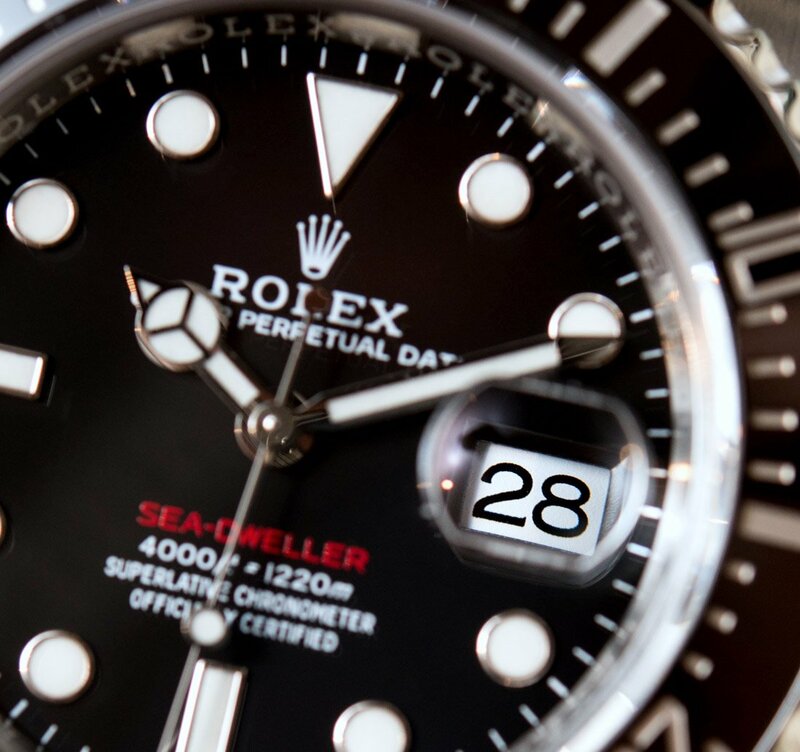 1665, is nicknamed the Double Red Sea-Dweller (DRSD) because of two lines of red text on the black dial. Also, it’s worth mentioning that a very popular vintage Rolex Submariner is the ref. 1680 Red Submariner, named so for its red text on the dial too. Thus, it’s safe to say that vintage Rolex collectors have a soft spot for red text. So, it’s only fitting that for the Sea-Dweller’s 50th birthday, Rolex also included the red “SEA-DWELLER” designation on the dial. Also new to the Sea-Dweller ref. 126600 is the Rolex Caliber 3235 automatic mechanical movement. The caliber actually made its debut in the Pearlmaster 39 in 2015. It was then fitted into the new Datejust 41 in 2016. Now the caliber finds itself in the Sea-Dweller ref. 126600. As a new generation movement, the caliber 3235 comes with all the bells and whistles we’ve come to expect from Rolex. Similar to the Caliber 3255 at the heart of the new Day-Date 40 watches, the Caliber 3235 also boasts 14 Rolex patents that improve reliability, precision, and efficiency. As a result, thanks to the new Rolex Chronergy escapement in the Caliber 3235, the Sea-Dweller now has a power reserve of 70 hours rather than the previous 48 hours. Furthermore, the new Caliber 3235 falls under Rolex’s redefined accuracy rate of -2/+2 sec per day—twice that of standard chronometers. Well, there you have it. From the ref. 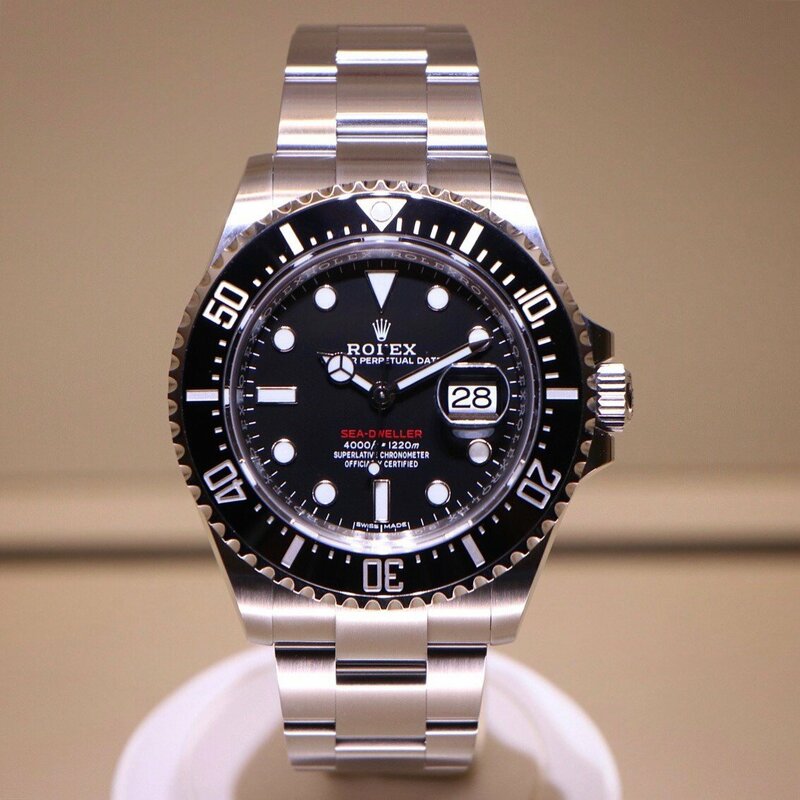 1665 Double Red Sea-Dweller, the ref. 1665 Great White, the ref. 16660 Triple Six, the ref. 16600, the ref. 116600 to today’s ref. 126600, that was our look at the six Sea-Dweller models sold to the public throughout the collection’s five decades of history. But, fear not, this is not the last chapter as we still need to delve into the very special Sea-Dweller COMEX editions, so stay tuned for that. The Sea-Dweller 1665 is a rare watch and is highly coveted. What are your thoughts on the new Sea-Dweller? Do you like the larger size and Cyclops lens? Leave us a comment below.